Don’t be fooled – something good actually happened in 2018. With your help, Mend Our Mountains has raised more than £600,000 over the course of a year packed with spectacular events, magnificent individual efforts and big pledges of support. Here are seven of the highlights. 2018, eh? It’s been a challenging year for the country as a whole, for reasons that no one needs reminding of here. The year has also not been without its challenges for the BMC. But despite another high-stakes AGM and the ongoing organisational reform process, our Mend Our Mountains (MOM): Make One Million appeal has raised a fantastic £600,000 to repair paths and protect habitats in hills, mountains and important landscapes across the UK. Here’s a look back, in no particular order, at some of the highlights from our flagship campaign. Just to remind you of how it works, the appeal is coordinated by the BMC, funded by the BMC Access and Conservation Trust, and run in conjunction with a coalition of National Park authorities, outdoor enthusiast groups and charitable trusts. In Scotland the campaign is represented by Mountaineering Scotland. 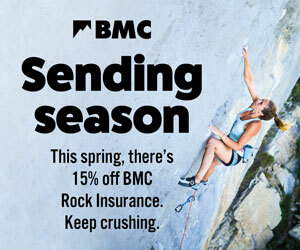 Headline sponsorship of the appeal is generously provided by the BMC’s recommended retail partners, Cotswold Outdoor and Snow+Rock. Find out more about the projects being supported and how the appeal works on the Mend Our Mountains: Make One Million website. The symbolic centrepiece of MOM: Make One Million, this inspiring event run in partnership with the Camping and Caravanning club saw 600 people come together to create a spectacular show of support for Mend Our Mountains – a human light chain stretching for two miles over the Great Ridge, all the way from Mam Tor to Lose Hill, in the heart of the Peak District. A huge thanks to all the volunteer participants, who were treated to a spectacular sunset and a clear night but had to cope with gusty winds and cold temperatures for several hours. The Light Night built on the success of the Mend Our Mountains launch at Sheffield Adventure Film Festival a few months earlier, which saw a host of events, walks and promotions over the weekend to show what the campaign was all about. Eugene Theron's photo of the line of lights on the Great Ridge from Lose Hill, looking towards Mam Tor. A vital part of the wider MOM: Make One Million fundraising effort, the second ever national Mend Our Mountains crowdfunding drive ran through September and October and raised a total of £118,430 from 2,752 supporters, exceeding the £103,832 raised by the first Mend Our Mountains crowdfunding drive in 2016. The push was boosted by the endorsement of Sir Chris Bonington and it attracted a flurry of media attention, including in The Guardian and The Times and on BBC Radio. Writer Robert Macfarlane tweeted his support. But ultimately its success was down to everyone who put their hands in their pockets to make a pledge, as well as the volunteers and supporters who did so much to raise awareness and drive fundraising. It was inspiring to see the Mend Our Mountains cause taken to heart by outdoor enthusiasts. Leading the charge was Rochdale man Richard Duckworth, who walked a total of 120 miles and climbed the equivalent height of Everest for the campaign over the course of his ‘Dirty Dozen’ challenge, which saw him take in every one of the projects which will eventually be funded by the appeal over the course of 12 days, from Scotland to Sussex. Already a big financial supporter of Mend Our Mountains, Richard raised another £1,715 during his challenge. Other people got their weight behind specific projects, like Jim Thomason, Mark Anderson and Jason Budd, who all completed epic bike rides for the badly eroded Cut Gate bridleway in the Peak District. Musselburgh’s Loretto School also got behind the campaign in Scotland, hill walking, cake-baking and abseiling in support of Beinn a’ Ghlo and Ben Vane. A huge thanks to all the other individual efforts we would be here all day listing – you know who you are and you are fantastic! Mend Our Mountains has attracted support from a wide range of charitable trusts and foundations. 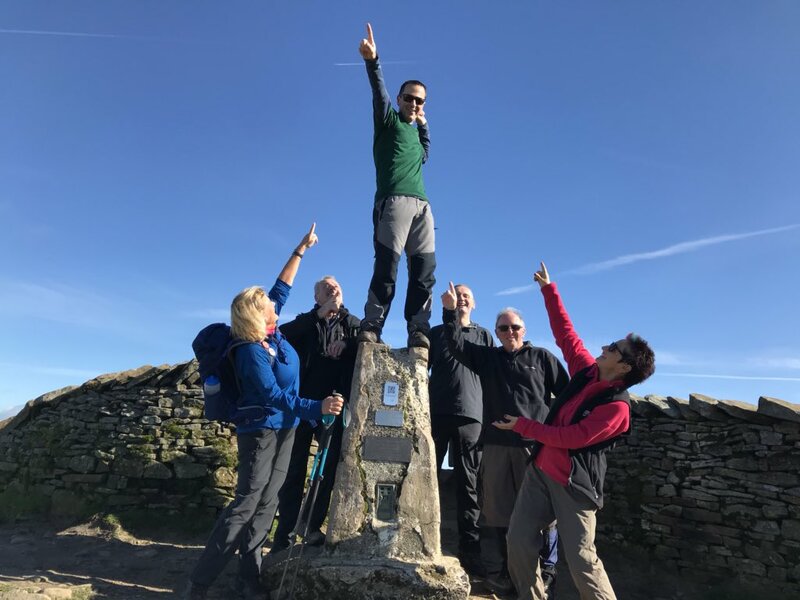 In June, for example, the Great Ridge received a magnificent £40,000 pledge of support from the Oglesby Charitable Trust, which supports projects which have a positive social and environmental impact in the North West of England. Other trust and foundations to have supported the campaign as a whole or projects within it include the HF Holidays Footpath Fund, the British Horse Society, the Gerald Micklem Charitable Trust, the Chalk Cliff Trust, the South Downs Society, the Banister Charitable Trust, the Ian Askew Charitable Trust, the Calleva Foundation and the Chapman Charitable Trust. More support of this sort is hopefully in the pipeline for 2018, so watch this space. MOM: Make One Million was made possible by the headline sponsorship of Costwold Outdoor and Snow+Rock. A big thanks is also due to other commercial supporters of the appeal like Montane, Vango, Trekitt and Trail magazine. Cut Gate in the Peak District and Beinn a’ Ghlo in the Cairngorms both secured €30,000 towards the urgent task of repairing runaway erosion and protecting local habitat. Cut Gate secured the funding by winning a public vote, which reflected the strength of support it enjoys from a multi-user coalition of mountain bikers, horse riders and walkers in the Sheffield region. 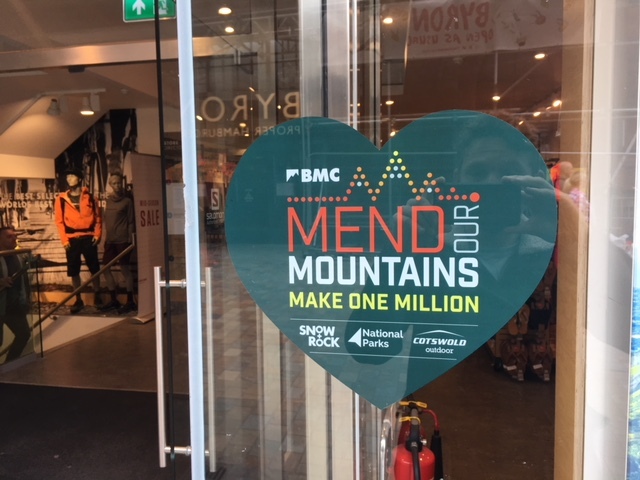 As well as providing headline sponsorship for the appeal, the BMC’s recommended retail partners have also been doing a great job of promoting Mend Our Mountains more than 100 locations across the UK. Mend Our Mountains collection boxes have been hosted in every Cotswold Outdoor and Snow+Rock store across the country, while the logo has been emblazoned on the doors and in-store posters have helped to spread the word. This excellent initiative has meant that the Mend Our Mountains message has been heard a long way from the hills – even on the high streets of big cities. One of the less expected - but still very welcome - developments of 2018 involved Mend Our Mountains crossing over the into the world of high-end horticulture. Thanks to the nomination of campaign supporter and TV superstar Julia Bradbury, Mend Our Mountains became the theme for a mountain-inspired garden at Hampton Court Flower Show. Designed by David Domoney, it was one of three gardens at the show sponsored by Everest Home Improvement, and the campaign received a generous £2,000 donation from the company as a result. The Mend Our Mountains: Make One Million appeal wraps up in the spring of 2019. Let's hope for more fantastic support and success as the campaign heads to the finish line. The money raised through the Mend Our Mountains: Make One Million appeal has started going into work on the ground, after a dramatic helicopter airlift helped path repair work to get underway on Yorkshire’s highest peak this week. The person commenting on 9/01/2019 might like to look here: https://mendmountains.thebmc.co.uk/ where there is a link to each of the projects that form MoM this time, each put forward by a particular Nat Park. There are explanations of the work they propose to do with the funds there.